One of the top fifty most generous people in the United States, billionaire and business magnate Carl Icahn has three separate foundations and last year gave $200 million to the Mt Sinai medical school in New York City. Icahn has also founded and currently support six charter schools, all of whom report significantly higher test averages on reading and math than public school students. Carl Icahn says that the major challenge of today is the disparity in the United States between the very rich and the poor working class who are not afforded the same opportunities, which is why education is his main pursuit in charitable giving. 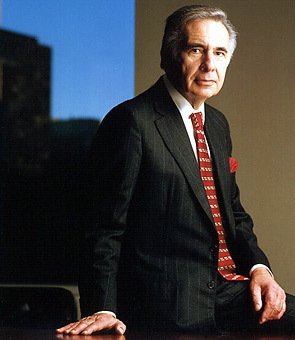 Icahn grew up in New York City and went to college at Princeton, earning a bachelor’s degree in philosophy. He entered medical school at the behest of his mother, but decided he could not pursue medicine after two years of unsatisfying study. Instead, he joined the Army, then returned to New York to begin a career on Wall Street in 1961. He started his own brokerage firm a few years later, and slowly worked his way up into the billionaire we know today. Now, he owns controlling interest in many major corporations, including Time Warner, Marvel and Nabisco. He is chairman of his own firm, Icahn Enterprises, as well as chair for Blockbuster, Federal-Mogul and American Railcar Industries. Icahn has three foundations, the Icahn Charitable Foundation, Foundation for a Greater Opportunity, and Children’s Rescue Fund. Through these foundations he has the charter schools and charitable gifts, as well as scholarships funds and a housing complex for single mothers and their children, as well as a homeless shelter in the Bronx. He is also a member of The Giving Pledge, although he committed to bestowing all of his wealth to charity twenty years before the project came to light.